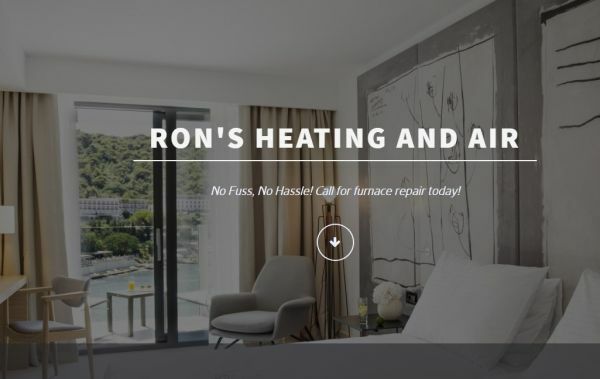 Ron's Heating and Air - Ron's Heating and Air Daly City was founded in Daly City in 2008. Since then, we’ve been working to provide the best heating and cooling services in the Daly City area. Ron's Heating and Air Daly City was founded in Daly City in 2008. Since then, we’ve been working to provide the best heating and cooling services in the Daly City area. Ron's Heating and Air Daly City was founded in Daly City in 2008. Since then, we’ve been working to provide the best heating and cooling services in the Daly City area. We have a professional, knowledgeable and fully trained staff, so you can trust in the quality of our work. We’re committed to getting the job done quickly and correctly weather it is a full installation or just a simple repair. Your home comfort is our priority, and we aim to please. We’re here to serve all your heating and cooling needs while providing you with great service, great products and compassion. Give us a call today! Call our experienced HVAC contractor today for all your heating, ventilation and cooling system needs. We stock units and parts and offer an emergency call out service. We repair appliances too.